Two lives. Two worlds apart. One deeply compelling story set in both Bosnia and the United States, spanning decades and generations, about the brutality of war and the trauma of everyday life after war, about hope and the ties that bind us together. Zara and her mother, Nadja, have a strained relationship. Nadja just doesn't understand Zara's creative passion for, and self-expression through, photography. And Zara doesn't know how to reach beyond their differences and connect to a closed-off mother who refuses to speak about her past in Bosnia. But when a bomb explodes as they're shopping in their local farmers' market in Rhode Island, Zara is left with PTSD--and her mother is left in a coma. Without the opportunity to get to know her mother, Zara is left with questions--not just about her mother, but about faith, religion, history, and her own path forward. As Zara tries to sort through her confusion, she meets Joseph, whose grandmother is also in the hospital, and whose exploration of religion and philosophy offer comfort and insight into Zara's own line of thinking. Told in chapters that alternate between Zara's present-day Providence, RI, and Nadja's own childhood in Bosnia and Herzegovina during the Bosnian War of the 1990s, We Are All That's Left shows the ways in which, no matter the time and place, struggle and tragedy can give way to connection, healing and love. This is going to be one of those reviews where I have a hard time organizing my thoughts together to adequately convey just how amazing the story was. It’s a story about war. It’s a story about what it means to be a survivor. It’s a story about family. 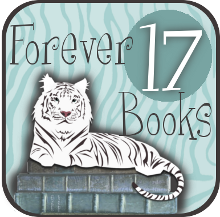 The story follows Zara, a budding photographer who always has a camera on hand. Unfortunately her mother, Nadja, doesn’t quite understand her creativity. The two have a complicated relationship, to say the least. Zara feels very closed off from her mother, not knowing much at all about her childhood and past in the Bosnian War. When they are victims of a bombing at a farmers’ market that leaves them injured, her mother in a coma, Zara is left with questions not just about her mother but also about her own faith. Zara is absolutely the main focus of this novel but it also alternated with chapters that follow her mother Nadja as a teen and her survival during the war. I have to say, I really didn’t know much about the Bosnian War before reading this novel and reading this was such an eye-opener. My heart ached for Nadja and all the terrible things we see her go through like losing family members, the ethnic cleansing of her people, being near starvation, and seeing her almost sensitized to the trauma around her. But it was so much more than just the character of Nadja. Thinking about the people who lived through this in the real world is so heartbreaking. There were parallels between both the past and the present and I found myself equally committed to both, anxious to know how Nadja survived back then and anxious to know if she would in the present after everything she went through and the impact it was having on Zara. Zara showed such strength in a time so tragic to her and her family. She is desperate to know more about her mother, afraid she may have lost the chance. She takes this terrible circumstance and uses it to bridge the gap between her and her mother and I admired that determination to do so. But it’s not just that, it’s about learning more about herself and her own faith in the process. And I have to mention the amazingly sweet boy she meets along the way, Joseph, who is sort of on his own quest of discovering faith. Zara isn’t so interested in a new friend at first but Joseph doesn’t give up on her and I loved him for it. The become a great support system for each other in their own personal journeys. 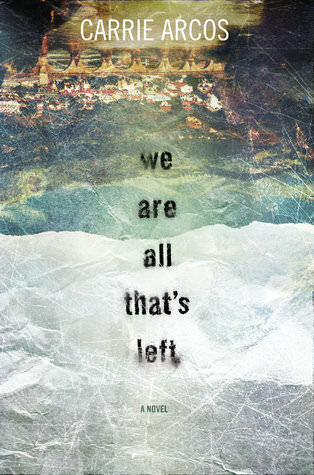 We Are All That’s Left is not my typical read but one I’m so thankful I did. I loved how both parts of the story came together so perfectly at the end. It’s deep and moving, beautiful and tragic. It made me feel so many things and is one I will not forget. This is absolutely a read worth checking out! 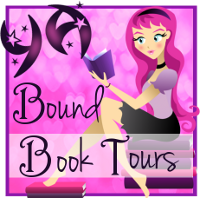 CHECK OUT MORE STOPS ON THE BLOG TOUR! Carrie Arcos (www.carriearcos.com) was born in Albany, New York, and still mourns the day her family left for the West Coast. She earned an MA in creative writing and English literature and writes young adult fiction. She has taught English–both high school level and college. She is also the author of National Book Award finalist Out of Reach; There Will Come a Time; and, most recently, Crazy Messy Beautiful. Carrie lives in Los Angeles with her husband and three children. I adore books like this and this is the first I’ve seen this book and author so thanks so much for putting it on my radar! I’m so surprised I haven’t seen this one around more because it’s so good! Oh this sounds like a heartbreaker. I’m curious! I think you might like this one too, Joy! Wow, this sounds like such a beautiful read. I can’t believe I haven’t heard more about this book before reading your review. I have no idea how this one has slipped through so many crack because I’ve barely seen it around. It’s so good though!